Well, suppose the manufacturer makes an item. You seem to like the item, but you need a medium to get that item, since the distance between you (The consumer) and manufacturer (The one who made that good) is quite high. There has to be a middle-man to get your goods straight from the manufacturer and that medium is known as a supplier! 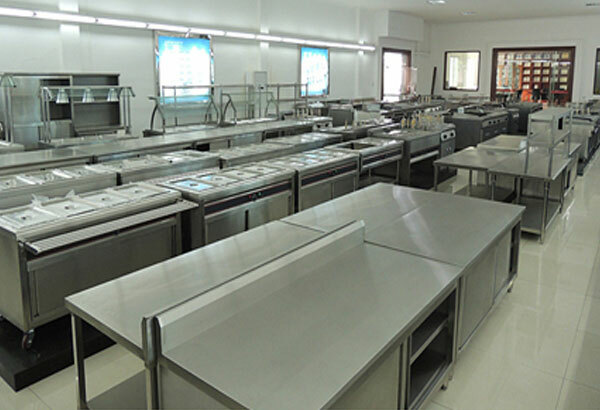 A supplier plays a very vital role in supplying equipments in a cafeteria, as without the supplier there is a huge gap to bridge between a consumer and the manufacturer or the seller. As a reputed Cafeteria owner you have to know how to master their SRM (Supplier Relationship Management) score. The SRM score signifies the depth of the relationship between the consumer and the supplier. Hence, it is very important to have a good SRM score!! It is one of those important management tasks that many quite forget! Well, you could write a book on why they are important, but here are some points that will suffice for now. The suppliers make sure that the demand for the equipment in a busy place like cafeteria is fulfilled, by supplying the materials on time, i.e you can’t mess with their punctuality, which indeed will profit you and your Cafeteria! Directly or indirectly your customers are going to love your cafeteria as they know that you always have everything they need. Thanks to the team of suppliers and their immaculate coordination you never feel lacking with respect to cafeteria equipment. Of course, there are going to be hard days, when you get a defective product from the manufacturer or get a product which wasn’t the same as described. At that moment your SRM score will decide whether you will face a loss or gain a profit, because they are the ones who might or might not support you upon the issue. Now, since suppliers play a big chunk of role in your cafeteria business, you have to maintain the dignity of this relationship by following certain rules while dealing with them. Because one wrong step or an unfavorable retort could end up ruining your business. One of the most crucial and important factors of getting a higher SRM score is paying them on time, provide them with the incentive for which they work! Now, If a huge chunk of my cafeteria business was dependent on some people who supply my goods on time, I would really be very selective about my words to them, Its really important to choose your words wisely. Again, It will also help you increase your SRM score! Having a proper communication is the basic block of good business relations. Be transparent and tell them every thing they need to know. Having a proper mode of communication is very important as it will solve half or even more of the problems during a dispute if not all!